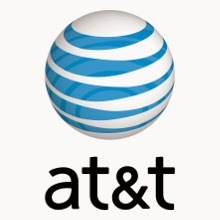 AT&T has recently announced plans to provide $100 million of free mobile broadband access to educational resources (websites, applications and services, and professional development) to help middle-school students and their teachers. AT&T's mobile broadband service will enable students to utilize tablets and other mobile devices for educational purposes that support student learning in new and more effective ways. AT&T's program is part of President Obama's ConnectED project, which purpose is to "build high-speed digital connections to America's schools and libraries". Both the US government and the private sector cooperate in the ConnectED project. The telecommunication giant has long been focused on how technology can be used to improve education opportunities. The company’s $350 million Aspire program includes providing technology solutions as well as supporting new models for higher education and extensive educational mentoring, all to address high school success and workforce readiness. Currently, about one in five students does not graduate high school with their peers, and of those who do, many are not fully prepared for college and career success. Nationally, high school graduation rates are increasing, but not nearly as fast as they need to be. Participating in ConnectEd and focusing on low-income school districts is one more way that AT&T is using technology and innovative programs to support teachers and help students achieve. Technology is rapidly changing how and where student learn, and is helping to equalize access to high-quality education by connecting all students with the best possible resources and tools. Integrating technology into the classroom is most successful when educators are empowered with the proper support and resources. As part of this commitment, AT&T also will provide professional development for teachers to help them take full advantage of mobile broadband service to ease their administrative burdens, easily engage with students and identify new high-quality content. The additional efforts announced today are contingent on FCC e-rate compliance requirements, and federal, state, and municipal procurement frameworks that will not prohibit or extend these types of initiatives. Eligible school locations will be subject to network congestion, availability, and performance criteria. 0 comments on "AT&T to provide $100 million worth of free mobile broadband access to educational resources"